George Lane Memorial Park & Campground situated on the Highwood River in the Town of High River, Alberta, among glorious mature black poplar trees (cottonwoods), many of which are more than a hundred years old. Located in the middle of town, the campground is convenient to shopping, dining and even a movie. Yet, unless you look carefully, you would not know the town is there. There are even 2 golf courses nearby. 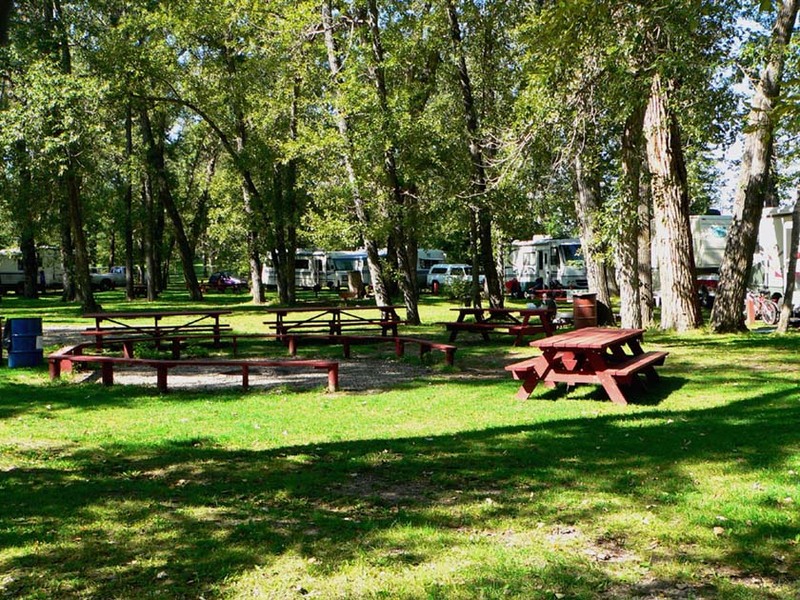 The campground is part of a public park which has outdoor facilities for baseball, celebrations such as weddings, graduations and birthdays, family outings, picnics, a children’s playground, horseshoe pits, bocce courts, walking and bike riding paths. Swimming, tubing and fishing is allowed in the river. Several of the 57 campsites will accommodate very large RV’s (over 40 feet in length). Three campsites are available without power for those who prefer not to use electricity. 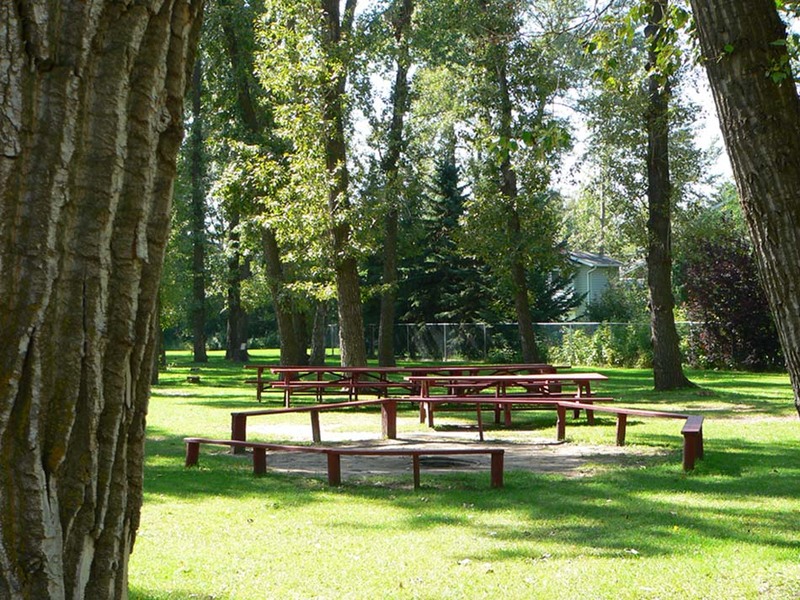 For group picnics or day outings, site "A" may be reserved for up to 25 people and site "C" for up to 150. Each group site has its own common firepit encircled by benches. Site "B" is equipped with twelve 15 amp power sites and a number of sites without power. 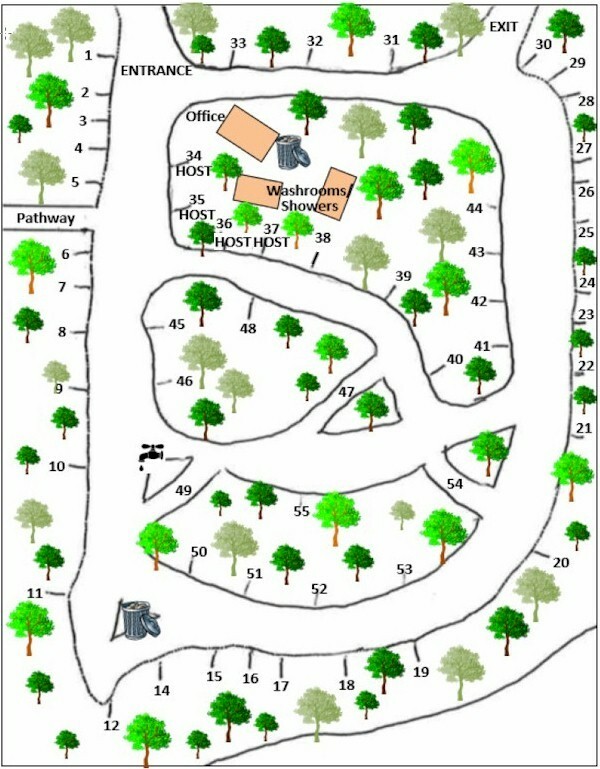 It will accommodate up to 15 RVs, depending on their sizes and how they are arranged in the space, and at least 6 tents. It also has a kitchen shelter with a wood stove, its own water supply and large picnic tables both inside and outside. The kitchen shelter is also a convenient place for rainy day activities. A large communal firepit, surounded with benches, is located on site "B" for the enjoyment of your group.